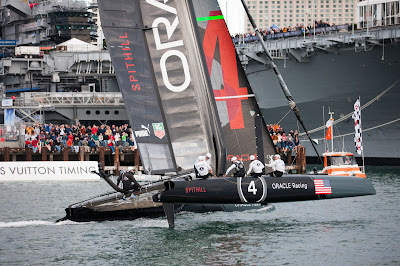 The ORACLE Racing Spithill crew swept across the finish line ahead of Energy Team to a 2-0 win on Saturday afternoon, earning appreciative applause from the large crowd gathered just a few yards away on Broadway and Navy Piers. 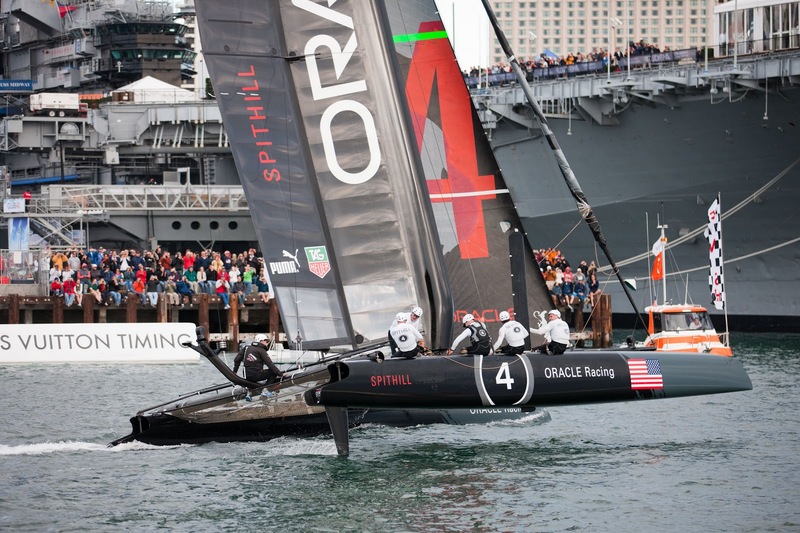 The victory gave ORACLE Racing Spithill the Match Racing Championship at the AC World Series in San Diego. 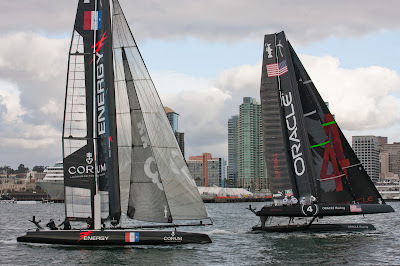 Conditions were tricky again on San Diego Bay, with the wind variable in direction, and ranging from 5 to 11 knots in strength. The sun was out for much of the day, bringing the crowds down to the AC Village. 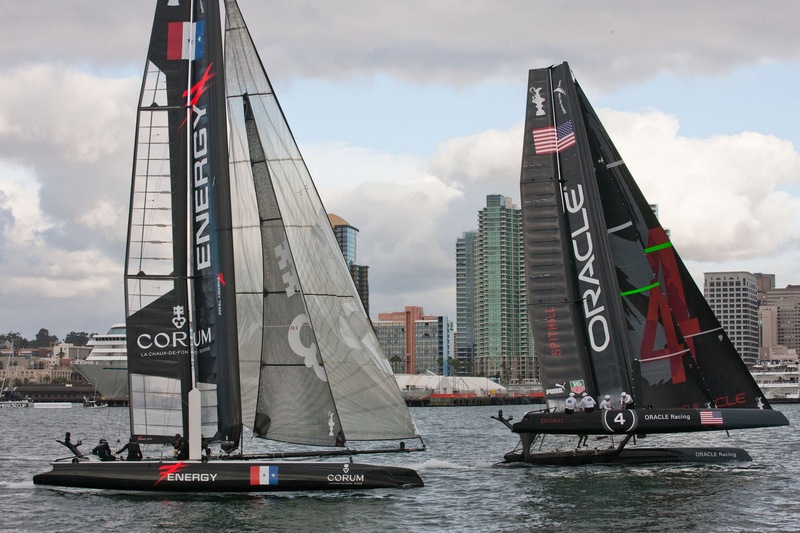 On Sunday afternoon the full fleet is on the water again, scheduled to race in another AC500 Speed Trial before the big, winner-takes-all, Fleet Racing Championship.